Sometimes, no matter what you do, you can never seem to get rid of those dry, cracked lips. If your lips are sensitive and not responding to treatment, it’s time to switch up your routine. Try Colorescience’s advanced formula as a solution for your sensitive lips and get a smooth, supple put once and for all. What Are Common Ingredients That Irritate Sensitive Lips? If you have sensitive skin, balms packed with strong chemicals and perfume fragrances can turn minorly chapped lips into severely irritated ones. Ingredients like camphor and menthol create a pleasant, soothing sensation when applied, but they can be especially irritating – paradoxically making lips dryer. To compensate and provide our parched pout with some moisture, we tend to then lick our lips… which only worsens the problem more, because saliva is also an irritant! Add extra sensitive lips to the equation, and the headache will be tenfold. Put an end to the cycle wearing our lip gloss for sensitive skin! 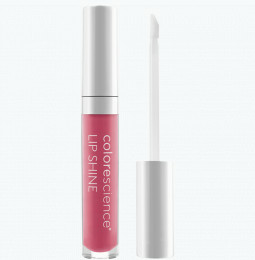 Can Colorescience Treat My Sensitive Lips? Absolutely. The skin on your lips lacks the oil glands found in other pores, so they’re more prone to drying out than the rest of our body. This skin is thinner and with fewer layers, but without sebaceous glands to self-moisturize, they’re super vulnerable to becoming dry, flaky, brittle, and cracked. Our lip gloss for sensitive lips is packed with hydration to nourish dehydrated lips and plump up your pout. The Colorescience formula lacks harsh, drying ingredients, but it includes UV protection for a healthy shine! My Whole Face Is Sensitive – Can You Help? Sensitive skin is no fun, but Colorescience offers an entire line of gentle cosmetics in addition to our lip products for sensitive skin. Start your routine with our face primer for sensitive skin to give your makeup a base while protecting your delicate complexion, neutralizing redness, and soothing irritation. Browse our collection of mineral face powder and liquid foundation to find the formula that speaks to you. Whichever one you choose, you can count on rich vitamins and antioxidants to treat your sensitive skin while providing the coverage you want. Complete your look with the best setting powder, which of course delivers sun protection to your delicate complexion. The SPF 30 or SPF 50 will ward off the sun’s harmful UV rays to prevent any future irritation. We made on-the go application and reapplication easy with the attached self-dispensing brush. All Colorescience mineral makeup is hypoallergenic, full of the only the gentlest ingredients. From our lip gloss for sensitive lips to mineral enhancers, your skin is safe with us! I have to be very careful when choosing beauty products. Many do more harm than good. I'm so happy to say yours is by far the very best without any unwanted side effects. My skin not only feels clean, soft, and healthy but it looks that way as well. This product is also easily trasportable because of its powder form which allows me to carry it in my on-board luggage when flying rather than having to worry about checking a bag because of a "liquid. " Thank you for thinking of everything! If you’re one of 16 million Americans that suffer from rosacea, you know good skin days and bad skin days all too well. Your skin might be frustrating on a day-to-day basis, but these beauty tips can help minimize the random, red flare-ups and provide the best makeup for rosacea secrets you need to know for picture-perfect concealing! Whether you’re suffering from rosacea or any type of skin redness you know how it can negatively affect your daily life. With April being National Rosacea Awareness Month, we’re reminded of those who are literally suffering every day both physically and emotionally. Those who struggle with the flushing, itching, burning, dryness and swelling of rosacea are constantly battling discomfort and lowered self-esteem. According to the National Rosacea Society, nearly 90 percent of rosacea patients say the condition has lowered their self-confidence. This is why we created our All Calm® Clinical Redness Corrector SPF 50. It’s both an immediate and long-term redness and sensitivity reducer, meaning once you have the product in hand, you don’t have to wait a minute longer for relief.